Written and designed by Justin Howes with a Preface by Halina Graham (Curator of the Cecil Higgins Art Gallery). One of 950 copies. First edition. Large Octavo, 11.75 X 8.25. 132 pp. Stiff covers with decorative wrapper after drawings by the artist. 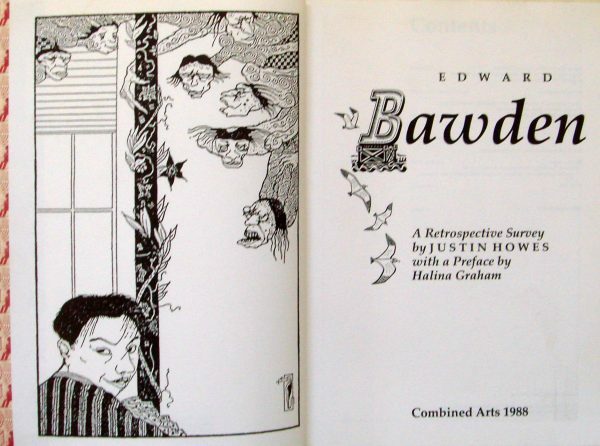 A chronological Survey of Bawden’s work illustrated throughout. A fine copy.